This is very easy to make since you don't have to refrigerate the truffle mix. These truffles taste fresh and are going to vanish in seconds. 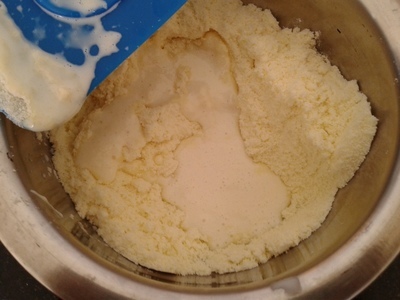 Melt the white chocolate in a double boiler or microwave. 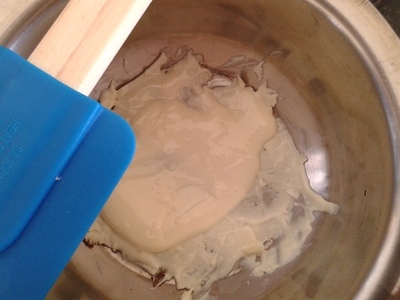 Add the milk powder and milk into the melted chocolate. Knead to form a soft dough. You don't have to use exactly 1 tbsp milk. Add a tsp milk at a time and knead. If the dough is not sticky, stop adding milk. Add any dry fruits you like. Finally, add the lemon zest and mix well. Put sugar in a bowl. Add a pinch of colour or Turmeric to the sugar crystals and mix well. 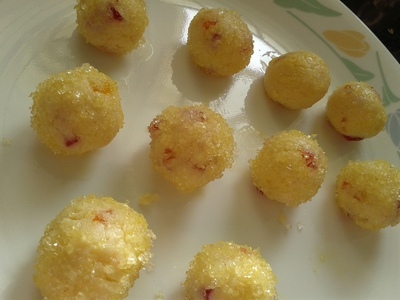 Make small lemon size balls from the dough. 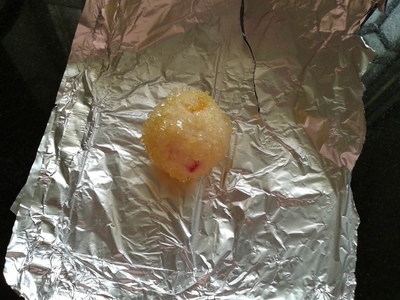 Roll the balls in sugar for coating. 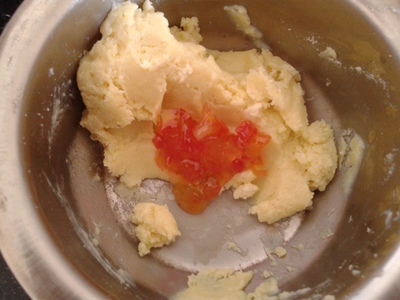 If you want the truffles sweeter add sugar while kneading the mix.